And … I decided that I needed to take Reveries Reviews in a new direction. (Sort of.) From now on, I’ll be doing monthly reading wrap-up posts (like this one). And every year I’ll do a yearly reading wrap-up post (like this one) as well. I’m always going to try to post twice a week regularly and balance my reviews with posts of other sorts. Though *coughs* you’ve heard that before. Well. Let’s jump into the post! Being a cripple is only the beginning of Lia’s troubles. It seems as if Bioti’s goal in life is to make Lia as miserable as possible. If Lia’s purpose was to be a slave, then why did God make her a cripple? How can He make something beautiful out of her deformity? Raoul never questioned the death of his daughter until someone reports her whereabouts. If Ellia is still alive, how has she survived these ten years with her deformity? When Raoul doesn’t know who to trust, can he trust God to keep Ellia safe when evidence reveals Bioti’s dangerous character? As time brings more hindrances, will Raoul find Ellia, or will she forever be lost to the father she doesn’t even know is searching for her? Welcome to Reveries Reviews, Amanda Tero! It’s great to have you today! Could you tell the readers a little bit about Befriending the Beast? I’m glad to “be” here, Kellyn! Befriending the Beast is a non-magical, Christian retelling of Beauty and the Beast. It has quite a drastic twist, though: what if, the beast was Belle’s father? She has returned home to gain favor with her father, and only has a few months in which to do it. When her father refuses to see her, she must hope against hope that something will happen to change his heart. What is the main character, Belle, like? Belle is spontaneous, warm, tender-hearted, and lovable (well, for me she’s lovable — guess my other readers will have to decide for themselves). Where did the idea for Befriending the Beast come from? One night I was sitting with my sisters watching a random movie, and the single question came to mind: “What if the beast was Belle’s father?” I seriously wasn’t thinking about rewriting fairy-tales and we weren’t watching anything like it either. At any point during the writing, did you have the soundtrack from the Disney movie running through your head? What is the world Befriending the Beast is set in like? It is a fictional medieval setting. You actually don’t see much of the outside world, because Belle has chosen to return to the castle — and in a way, has chosen confinement. There is a lot about her castle and garden, though! How has Befriending the Beast changed since you started writing it, if at all? Oh, it has definitely changed! My author friend, A.M. Heath (look her up, she writes amazing Civil War novels!) kept pushing me to “keep the time-bomb ticking.” What started out to be just a sweet story changed to be one that makes readers edgy to find out what happens next. I definitely went from putting Belle into a sad situation to making her downright stressed and uncomfortable (in a good way!). What takes up most of your days? Wow… um… every day is different, so this one is hard to answer! On Tuesdays and Wednesdays, I teach piano and violin all day (I have 23 students). On my “off” days, I am either arranging music, working on writing, doing graphics design, doing music with my family, and a collage of other things. Most recently, I’ve done some Louisiana flood relief work. Hmm… both! I love using a pencil, but I also like the colored G2 pens. Typed. My fingers can fly about as fast as my brain on the keyboard… but not so much wrapped around a writing utensil. Is there anything you’d like to go back in time and tell yourself a year ago (writing-related or not-writing-related)? Well, life-related: be sure that all you do is for the glory of God. It is very easy to let ulterior motives slip in, so stay on the guard! Thanks for reading, everyone! Remember to go to Amanda’s website or blog to find out more! Content: 1/5. Some thematic elements (falling off a horse and sickness, no details). No violence, language, or sexual content. Belle has returned unannounced to the castle to restore her relationship with the king, her father. Her hopes are dashed with the devastating message: “The king refuses to see you.” Convinced that God has led her home, she is unwilling to return to Lord and Lady Kiralyn. Time is running out for the decision that will change her life. 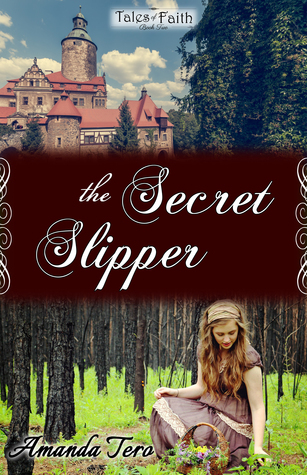 When tragedy strikes, will she and her father be pulled further apart or knit together? Could she stay at the castle even if she will never see her father again? Find the book trailer here! Amanda is still accepting influencers for ‘Befriending the Beast!’ If you’d like to be a part of her blog tour or would like to receive a book to review, sign up here. Rating: 4.5/5 stars. One of the best stories I’ve read in a while! Incredibly inspirational! The author has a gift for spreading God’s light! Content: 1/5, perfectly ok for all ages. I can’t think of a single thing that made me uncomfortable. Now orphaned, Marie is swept miles away from the only life she knew to be sheltered by unknown guardians. Caught in the challenges of a new life, she cannot prevent changes from happening, but she can keep the Bowles and their friends at arm’s length. Or can she? While things appear to transition smoothly on the outside, Marie struggles against the turmoil she faces on the inside. She sees something in the Bowles and her new friends that she had never experienced before…but should she trust what the preacher is teaching when it goes against everything she had accepted as truth? Is God really a God of love? If He is, then is Marie willing to accept it? 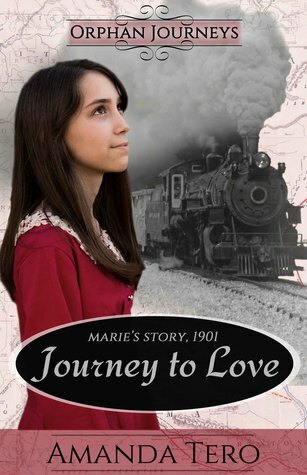 Follow Marie as she begins the journey to love. Rating: 4.5/5 stars. Not my favorite plotline (I know the author had to do it, but WHY?!!! ), but it was still marvelous. Content: 1/5. It’s perfectly clean. There is some description of sickness and poverty … but it didn’t disturb me in the least. It wasn’t detailed at all.